Have an exciting Egypt, Jordan & Jerusalem Tour. 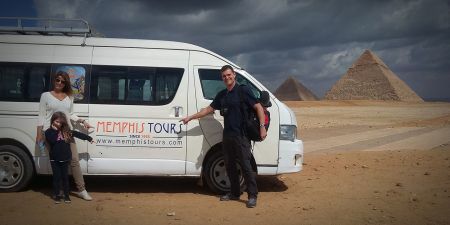 Start Your tour with the glory of the ancient Egyptian Monuments like Pyramids in Cairo and Enjoy Nile Cruise from Luxor to Aswan, then process to the natural beauty of Sharm El Sheikh. then, discover Jordan and Jerusalem to visit Jerash, Dead Sea, religious sites and find out where Jesus Christ was crucified and buried. Accommodation for 3 nights on 05 star Nile Cruise including breakfast, lunch, dinner. 2 hours Bedouin Truck tour in Wadi Rum (drive & stops). Israeli departure taxes at King Hussein Border . 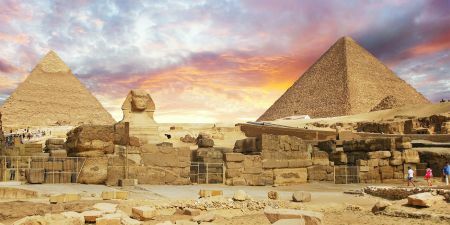 Breakfast at your hotel in Cairo and then met by your personal guide who will accompany you to Giza Plateau to visit the Great Pyramids of Cheops, Chefren and Mykerinus - Famous Sphinx and Valley temple facing the great statue. Additional visit to the Solar Boat infront of Cheops Pyramid (extra ticket on spot). Lunch will be served in a local restaurant. Proceed to Sakkara area to visit Sakkara Complex and first pyramid ever built (Djoser Pyramid). Move to Memphis; Old kingdom's capital and famous Necropolis. Overnight in Cairo. Check-out after breakfast and then you will be escorted by your private guide to visit: Egyptian Museum, Treasures room for the child king Tutankhamen, alongside many other fascinating artifacts. Additional visit to the mummies room at the museum (extra ticket on spot).Lunch will be served in a local restaurant, then move on to visit Saladin Citadel including Mohamed Ali Alabaster Mosque inside. Continue to Coptic Cairo to visit the Hanging Church and Ben Ezra Synagogue. Continue driving to Islamic Cairo, where you will be able to explore Khan El Khalili, Cairo’s old bazaar. In the evening transfer to Cairo Airport for flight to Aswan. Overnight in Aswan. Breakfast at your hotel in Aswan, then at 11:00 am tour to enjoy a tour to one of Egypt's top tourist attractions, Abu Simbel temple, which were originally carved out of the mountainside during the reign of Pharaoh Ramesses II approximately in the 13th century BC, as a lasting monument to himself and his queen Nefertari. From Aswan to Abu Simbel is about a 03 hours and half drive one way. Overnight in Aswan. Breakfast at your hotel in Aswan. 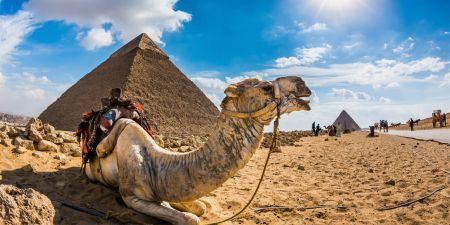 Then transfer to embark your Nile River Cruise before Lunch at 11:00 a.m, then enjoy visiting the world famous High Dam, The awesome Philae temple, which is devoted to the two goddesses Isis and Hathor , and the largest known ancient obelisk, located in the northern region of the stone quarries of ancient Egypt, the Unfinished Obelisk. Dinner on board and overnight in Aswan. Sail to Luxor, have breakfast on board then Visit the West Bank, take an excursion to the royal cemetery for 62 Pharaohs, Valley of the Kings, then to mortuary Temple of Queen Hatshepsut, which was built by the architects of the New Kingdom Pharaoh Hatshepsut approximately in the 15th century BC , at El-Deir El-Bahari and the Colossi Memnon. Lunch on board. Enjoy afternoon tea during sailing. Dinner on board Overnight in Luxor. 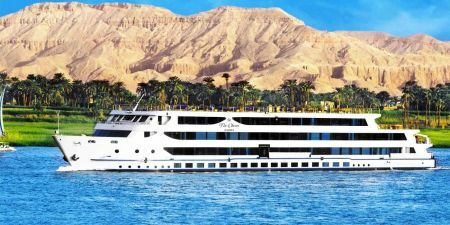 Breakfast on board, Disembark from your Nile cruise after breakfast at 08:00 a.m. Then transfer to visit Karnak and Luxor Temples. Then transfer to Luxor Airport for flight to Sharm El Sheikh. Most flights are indirect flight via Cairo Airport. Upon arrival at Sharm. 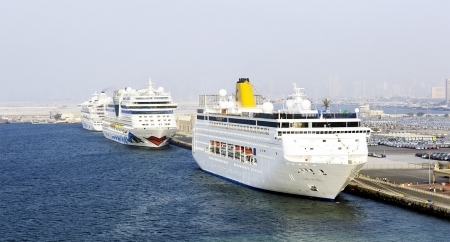 Transfer to your hotel and overnight in Sharm. Breakfast at your hotel in Sharm el sheikh with free day at your hotel and on the beach in Sharm El Sheikh with optional excursions available and overnight stay. Box breakfast from your hotel. You will be met and assisted by our company representative at your hotel in Sharm El Sheikh and transferred by air-conditioned van class to Taba Border the journey takes about 3 hours drive. Then transfer from Taba border to Arava Border ( Taxi fees and taxes to be paid locally by yourselves ) to cross to the Jordanian side, where you will be met by another representative who will assist you through immigration and then you will depart Aqaba to explore Petra and Wadi Rum, where you will enjoy an exhilarating 4X4 ride visiting the Wadi Um Eshreen, the Moving Sand, Al Khazali, Abu Aineh and Rum Mountain. We will see the trail of Lawrence of Arabia and the famous Red Mountains. Afterwards we proceed north to the spectacular lost city of Petra. Overnight in Petra. At 7:00 am pick up from your Amman hotel to head for the Allenby Bridge/King Hussein Border to leave Jordan. Your tour guide welcomes you, then drive via the Judean desert to the Holy City Jerusalem. We start with a panoramic view from the Mount of Olives, and walk down to the Garden of Gethsemane and the Church of All Nations. In the old city we view the Wailing Wall, which represents the last remnants of the Jewish Temple, destroyed by the Romans. If open to visitors, we ascend to the Temple Mount to look at the famous Dome of the Rock. Then we continue to the Via Dolorosa, which leads us to the Church of the Holy Sepulchre, where Jesus Christ was crucified and buried. Back to Amman. Overnight in hotel in Amman. After breakfast, transfer to Amman (Queen Alia's) International Airport for final departure.